More than 200 riders, escorted by former NASCAR champion Kyle Petty, motored through Ketchum on Saturday as part of the 15th annual Chick-Fil-A Charity Ride Across America to raise money for Victory Junction, a national charity for children with chronic diseases, and other children’s charities. 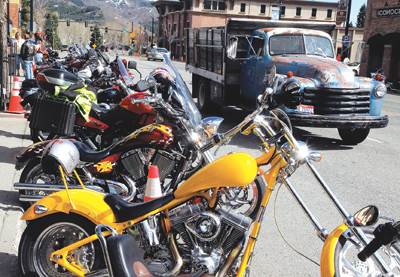 Sun Valley was the last stop of Day 2 of the 3,500-mile, nine-day cross-country journey that will end in Greensboro, N.C. Motorcyle riders enjoyed a Ketchum street block party with music by local band Straight Up and Yo Mama Productions at Rico’s. Conservation medicine has been warning us for years about the potential for an outbreak.